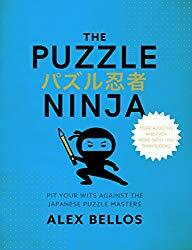 Alex Bellos sent me his new book Puzzle Ninja: Pit Your Wits Against The Japanese Puzzle Masters. What has he done to me? I opened the book and couldn’t close it until I solved all the puzzles. This is a fantastic book. There are many varieties of puzzles, including some types that I’ve never seen before. Also, the beautifully designed puzzles are great. 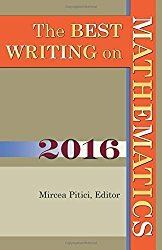 Often puzzles of the same type target different solving ideas or have varied cool themes. This book is more than a bunch of puzzles; it also contains poetic stories about puzzle histories and Japanese puzzle designers. 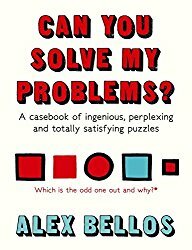 Fantastic puzzles together with a human touch: this might be my favorite puzzle book. 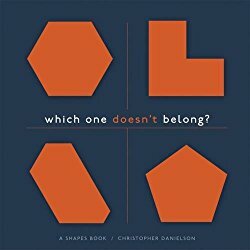 I present two puzzles from the book. 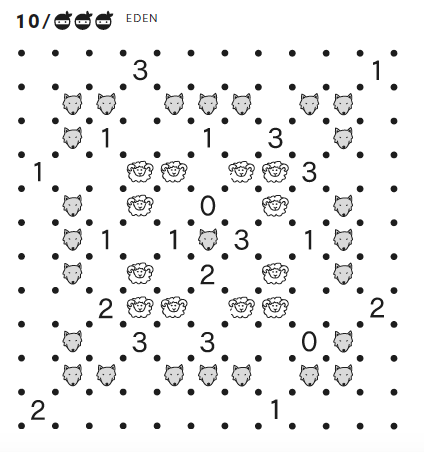 The puzzle type is called Wolf and Sheep Slitherlink. 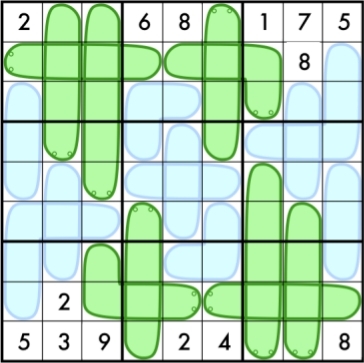 The Slitherlink is a famous puzzle type with the goal of connecting some of the neighboring dots into a single non-self-intersecting loop. A number inside a small square cell indicates how many sides of the square are part of the loop. Wolf and Sheep Slitherlink is a variation of Slitherlink in which all sheep should be kept inside the fence (loop) and all the wolves outside. 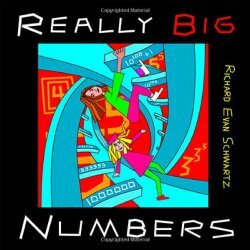 Ignore the numbers in the title as they just indicate the order number of Wolf and Sheep Slitherlink puzzles in the book. The number of ninja heads shows the level of difficulty. (The hardest puzzles in the book have four heads.) The difficulty is followed by the name of the puzzle master who designed the puzzle. 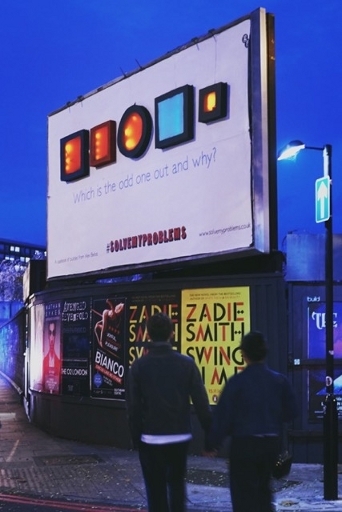 The first puzzle above is slightly easier than the second. I like the themes of these two puzzles. 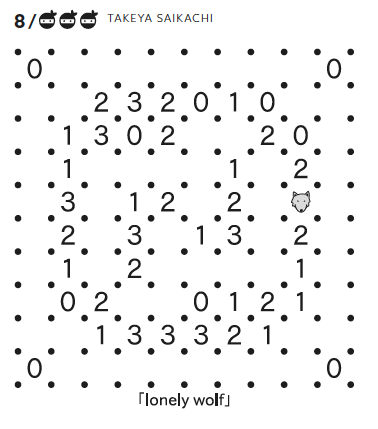 In the first one, only one cell—lonely wolf—marks the relationship to the fence. In the second one, the wolf in the center—who needs to be outside the fence—is surrounded by a circle of sheep who are in turn surrounded by a circle of wolves. I had a distant relative Alla, who was brought up by a single mother, who died in a car crash when the girl was in her early teens. Alla was becoming a sweet and pleasant teenager; she was taken in by her aunt after the accident. Very soon the aunt started complaining that Alla was turning into a cheater and a thief. The aunt found a therapist for Alla, who explained that Alla was stealing for a reason. Because the world had unfairly stolen her mother, Alla felt entitled to compensation in the form of jewelry, money, and other luxuries. 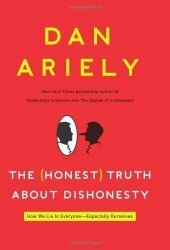 I was reminded of Alla’s story when I was reading The (Honest) Truth About Dishonesty: How We Lie to Everyone—Especially Ourselves by Dan Ariely. Ariely discusses a wide range of reasons why honest people cheat. But to me he neglects to look at the most prominent reason. Often honest people cheat when they feel justified and entitled to do so. I should try it here. But this is so difficult. I give up. First, God brought forth the sky with the world. The world existed without form. Gloom covered the deep. The Spirit of God hovered over the fluids. Quoth God: let there be light. Thus light existed. Fun as it is, this is cruel and unusual punishment. The request is more difficult than most people expect at an experiment. It could be that participants cheated not only because their capacity for honesty was depleted, but because they felt entitled to more money because the challenge was so difficult. In another experiment, the participants received a high-fashion brand of sunglasses before the test. Some of them were told that the sunglasses were a cheap imitation of the luxury brand (when they really were not). This group cheated more than the group who thought that they got a real thing. The book concludes that wearing fake sunglasses makes people feel that they themselves are fake and so they care less about their honor. 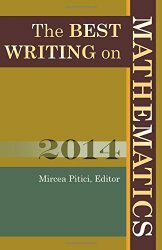 Unfortunately, the book doesn’t explain in detail what was actually promised. It looks like the participants were promised high-fashion sunglasses. In this case, the fake group would have felt deceived and might have felt more justified to cheat. I love making math questions out of the movies. Here is a Mission Impossible III question. Tom Cruise is cute. He plays Ethan Hunt in Mission Impossible movies. In Mission Impossible III he needs to steal the Rabbit’s Foot from a secure skyscraper in Shanghai. 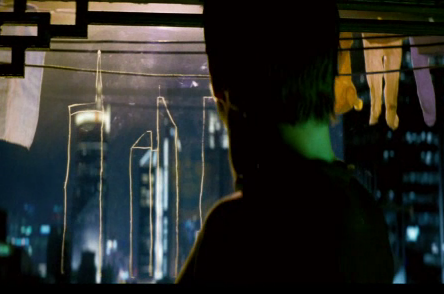 He arrives in Shanghai and studies the skyscraper looking out his window. He decides to break in through the roof. And the way to get to the roof is to use a rope and swing across from another, even taller, skyscraper. 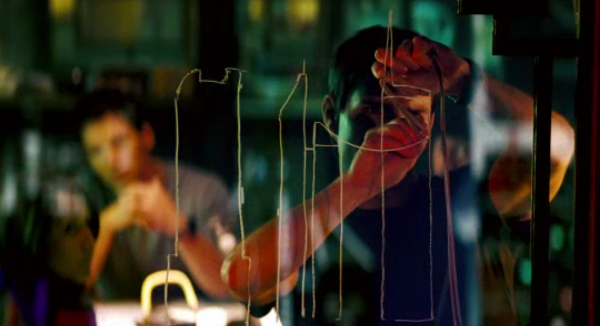 1:21 minutes into the movie, Ethan Hunt calculates the length of the rope he will need by using the projection of a skyline on his window, as seen on the first picture. Explain why the projection is not enough to calculate the length of the rope. What other data does he need for that? Ethan Hunt does request extra data. But he makes one mistake. He uses his pencil as a compass to draw the end of the rope curve, as seen on the second picture. Explain what his mistake is.